A lifetime of helping people fund life-saving equipment has earned Liz Harris of Abbotsford the 2018 UFV Distinguished Alumni Award. Harris joins a growing list of DAA graduates honoured by the University of the Fraser Valley for their outstanding achievements in fields such as public service, business, the environment, and service to the community. After graduating from Chilliwack Secondary, Harris planned on becoming an elementary school teacher — but something different came into play near the end of her Bachelor of Arts program at UFV. Working towards her psychology major with a minor in history, she embraced the chance to complete a co-op work term with the United Way, combining academic studies with relevant paid work experience. “They lent me out to the hospital foundation to work on the Run for Mom event, and once I saw the incredibly important role fundraising plays in so many positive aspects of our lives, I knew that was the path for me,” she recalls. After completing her BA in 2001, Harris entered the fundraising field professionally. 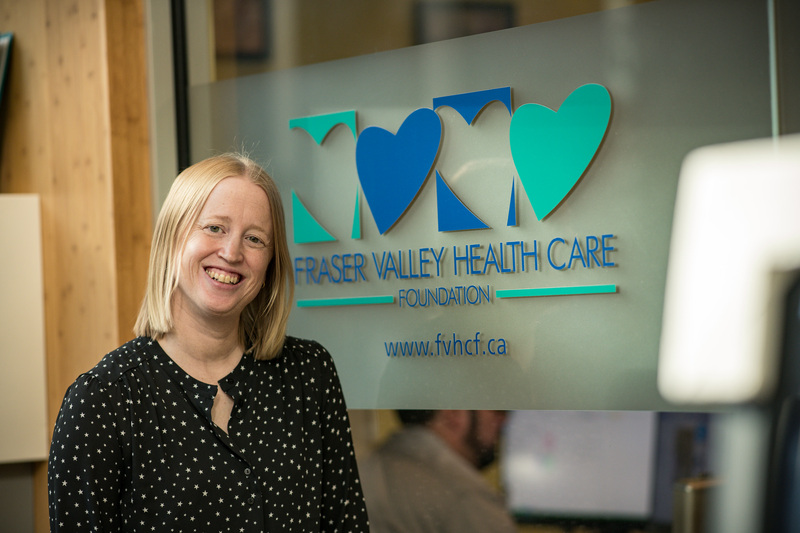 Now serving as the Executive Director for the Fraser Valley Healthcare Foundation, Harris carries a deep history of improving the lives of others through organizations she worked with, including: the Canadian Cancer Society, BC-Yukon Leukemia and Lymphoma Society, and the SOS Children’s Village. Over the years she helped raise millions of dollars for critical health care equipment and services, including a state-of-the-art CT scanner for Abbotsford Regional Hospital and cataract surgery equipment in partnership with the Mount Cheam Lions Club. “Many of us are born in the hospital and most of us depend on its services during important times in our lives, so I feel this is important work,” she says. Harris recalls her time at UFV as instrumental to her success. “It help me navigate things like research and deadlines, giving me the life skills I needed to create strong reports and develop applicable job skills,” she says. Not so say it’s been an easy journey. Asking for money, often in large sums, isn’t for everyone. “It’s a challenging industry,” she admits. A lifelong learner, Liz has taken courses after graduating that target budgeting and fundraising to continually improve her ability to help others.